Coach Bubba has been part of the Emerald City family for about 5 years and brings over 30 years of dance experience to our program. Part of the family, as in her son, Dalton, is also a level 5 gymnast on the boys team. Bubba was a level 8 gymnast herself and a competitive dancer growing up. Coaching the girls pre-team and working alongside Coach Jana brings Bubba the greatest joy in the gym. 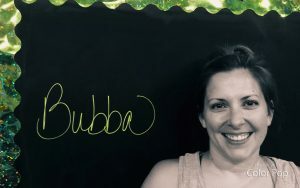 Helping kids find passion in something is what drives Bubba every day. 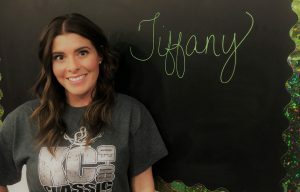 She hopes to be able to continue teaching the girls optional gymnastics choreography for their floor routines and coach pre-team each year. Participating in gymnastics and dance herself taught her life skills like discipline, work ethic and kindness to teammates which she enjoys watching develop in her own son and hopes she can pass on to her students. As a proud graduate of Shawnee Mission East High School, Coach Bubba now coaches the Shawnee Mission East Lancer Dancers. In 2013, the dance team won the Large Varsity Jazz NDA National Championship. Coach Bubba earned a bachelor’s degree in Management from Baker University. She and her husband Andrew have 2 kids, Dalton and Delaney, and 3 dogs. Her dream is to one day travel to Italy and Greece with her husband. Senna came to Emerald City at the age of 14 and competed for 2 years as a Level 7 & 8 gymnast. She competed in high school gymnastics and recently graduated from Johnson County Community College with an associate’s degree in liberal arts. Senna is currently working toward a degree in social work at the University of Kansas. 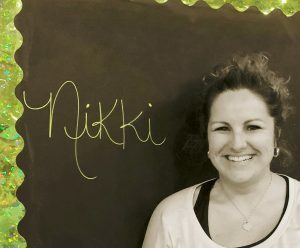 She began coaching at Emerald City over the summer and she loves working here as she feels that the staff really makes you feel like you’re part of the family. Through the years Senna won many competitions including gold on bars and vault at Pink Ribbon and won first place on every event one year at the Land of Oz meet. During her high school competition years, Senna won 2nd place all-around at the Kansas State gymnastics meet her first year as a varsity gymnast in 2011. Although bars is her favorite event, she was most proud to be able to do back flips on high beam as well as doing double fulls on tumble trak. Senna loves coaching because she gets to help gymnasts develop their skill and strives to individualize her coaching style to bring out the best in every athlete. One of her biggest dreams in life would be to make a meaningful difference in at least one person’s life. 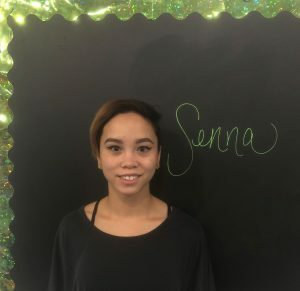 As a younger coach, Senna loves that she is still able to demonstrate quite a few of the skills to assist the gymnasts in learning and refining their skills and techniques. Coach Dustin is a rare commodity in the world of gymnastics. With no personal gymnastics background, Dustin was introduced to the sport while assisting a girl’s high school gymnastics team. He was recruited by our very own Sean and never turned back. 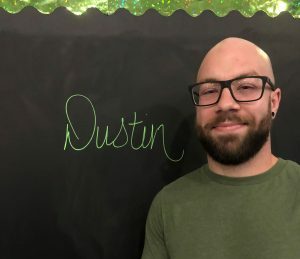 Immersion and his love for kids has kept Dustin with Emerald City for 4 years. During that time, Dustin learned the boys program, later worked with the Munchkins program and has grown in to an integral piece of the Girls Gymnastics Team, steadily working in to an Uneven Bars Specialist under the tutelage of Coach Russ. He is still a vital asset, and one of the most versatile pieces to the Emerald City puzzle. Dustin loves coaching as he loves bonding with the gymnasts and helping them through their struggles and triumphs in the sport. During high school, Dustin played football and ran track. He graduated from Shawnee Mission South in 2014. One day Dustin hopes to regain his full head of hair, only originally lost by Coach Zach shaving it off. To contact Dustin, email emeraldcityks.dustin@gmail.com.